I was wondering, how and when did the zipper in my pants get the name “fly”? A fly on clothing is a covering over an opening concealing the mechanism, such as a zip, velcro, or buttons, used to close the opening. An open fly is a fly that has been left unzipped or unbuttoned. The term is most frequently applied to a short opening over the groin in trousers, shorts, and other garments. 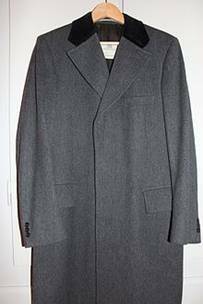 The term is also used for overcoats, where a design of the same shape is used to hide a row of buttons. This style is common on a wide range of coats, from single-breasted Chesterfields to covert coats. 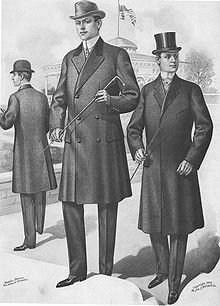 Trousers have varied historically in whether or not they have flies. Originally, trousers did not have flies or other openings, being pulled down for sanitary functions. The use of a codpiece, a separate covering attached to the trousers, became popular in 16th-century Europe, eventually evolving into an attached fall-front (or broad fall). The fly-front (split fall) emerged later. The paneled front returned as a sporting option, such as in riding breeches, but is now hardly used, flies being by far the most common fastening. Most flies now use a zip, though button flies continue in use. Note: I have refrained from including pictures of button flies, riding breech flies, and codpieces to maintain our “safe for work” G rating. « Editor’s Corner: It’s or Its?